The following account of disturbing, and shared dreams in Thunder Bay was originally submitted as a possible ghost, and haunting situation. 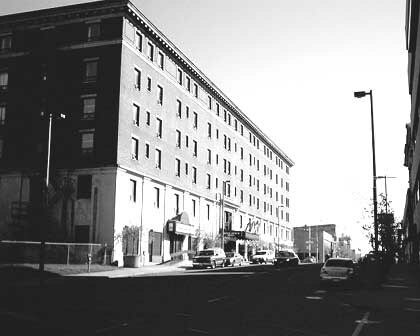 The shared dreams occurred in the Prince Arthur Hotel in Thunder Bay, Ontario. However we felt it may be better served by considering this a psychic event shared between the family members. We will leave it to the reader to decide what they think may have happened. "My family and I, we live in Thunder Bay, but just as a night out together from home we thought we'd go sleep at a hotel across town called The Prince Arthur Hotel. It looks old, but very nice. After a long evening my Grandmother, my Mom, my little sister, my friend and I came back from swimming, relaxed and went to bed. During the night the TV turned on around 2 times, of course that could probably happen quite easily in a hotel. But, it still scared us because of the loud noise and the flurry screen popping up in the middle of the night. We didn't really think nothing of it though, so easily we went back to sleep. A little while later I woke up with the feeling of heat stroke and the room was cool as I remembered it anyways. But, still it was a long night and everyone was really tired, so we slept until morning. In the morning everyone looked really restless, except my little sister who slept through the whole night. I remember dreaming of a funeral and feeling really depressed in that dream, it felt like I was actually there watching it happen. My dream was cut short, when I woke up with the heat stroke. I fell asleep again, this time dreaming I was watching the roof of the Prince Arthur and there was a man, I don't quite remember all of it anymore but, he looked horrible, cut, bruises all over. Behind him, there were 3 white floating stars or orb-like light and remembering the feeling of confusion? Or disappointment? Depression? I'm not quite sure but I remember getting scared. I don't remember anything else, everything just blacked out and I woke up. Anyways, my grandmother and mother were talking and all I was thinking about was my dream, they were talking about how they had the exact same dream as each other about a funeral, so I told them I too had had a dream about a funeral. It scared all of us and to this day we've never went to the Prince Arthur since, at least not to sleep there. I've been searching and searching for any piece of information that might tell me if the hotel has any history or anything that will help me understand what happened or if what happened was anything because it could have just been a coincidence that it had happened." Our thanks go out to the experiencer, and her family for sharing this with us. If you can add some information or have had a similar experience at the hotel please contact us through admin@psican.org Your privacy will be protected, and confidentiality is assured.